Keep them coming please! A lot of these games I never got a chance to play when they came out. These guys and Panic Button seem to have the system nailed down! Keep feeding them 3rd parties! Good work in their part! I haven’t played the retail release, but the Network Test ran very well (despite the fact I saw more You Died screens than I care to admit). 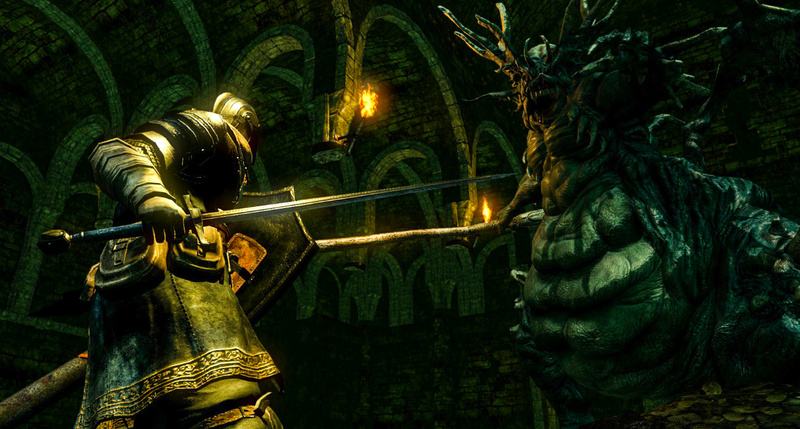 Dark Souls port is amazing but the audio portion of the game is very lacking. I hope the fix it. 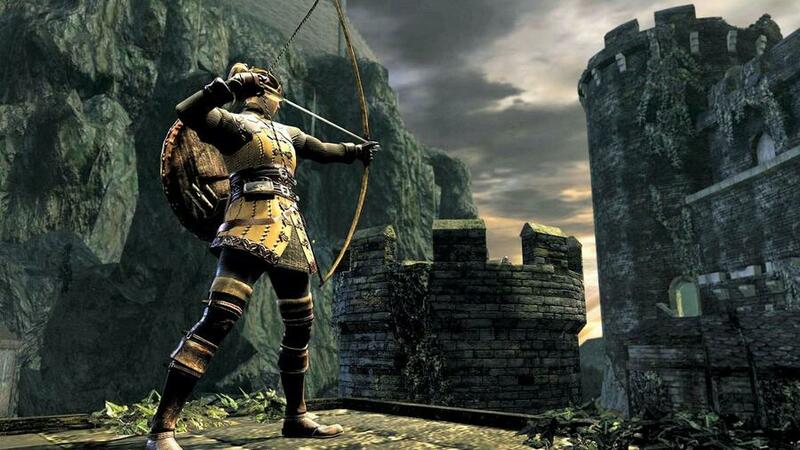 Dark souls and all its imperfections was my most played ps3 game. Now I have a switch version, which in superior is every way, I’ll never need another game ever. Any word on them fixing any of the bugs, such as the very bad audio glitches? The hitbox on the female winged creatures in Painted World is also off. They have a hitbox behind them, apparently! These guys really are the new Panic Button, it seems. I'm glad to see there's a few options for getting games on Switch. Though it's a shame the interview didn't ask about the reasoning behind fixing the a/b buttons without being able to adjust them. (I understand the reason to make it match muscle memory on other DS games, but the lockout of the mapping for them seems a little odd. Otherwise, great interview, great port. @Belatarr Agreed. The sound is not awesome on the PS3 version either, but the insane level of compression takes away some of the atmosphere. Before I played it, I thought people were exaggerating, but it's actually really bad. Doesn't stop me from loving this version of the game, but it's mildly annoying. If they fix it, I'll do another playthrough. This game takes game design seriously, mainly in the department of trusting the players to actually try to understand the game themselves. I would love for Nintendo to take some notes from this, which they have to some extent in Breath of the Wild. Just fix the audio, please. I love these ports. I know people complain that the Switch doesn't have new games blah blah blah, but there is something so good about having these options on a hand held device. I just started a Diablo 3 play through with the Witch Doctor... Who throws a jar of spiders at people?? Anyway, can't wait for what comes along next! I think that people who expect Switch to get a plethora of high profile exclusives/day one releases are being profoundly unrealistic. Not every company is Bethesda, who are supposedly releasing Doom Eternal AND the upcoming Wolfenstein Youngbloods (or whatever it's called) day to date with the other consoles. Honestly, I'll believe that when I see it. The Switch has already amassed a respectable library of exclusive titles: Mario Odyssey, Xenoblade 2, Octopath, Mario+Rabbids, Kirby, Mario Tennis Aces, Golf Story, Snipperclips, Arms, Super Mario Party, the Labo kits, etc. The fact that those who only game on Nintendo hardware finally get to experience some of the amazing games from this generation (Doom, Wolfenstein II, Inside, South Park: FBW) and last (Dark Souls, Saints Row III, Diablo III, South Park: SoT) is pretty awesome. The first Virtuos port I remember was Motorstorm Arctic Edge for PS2. They've been at this for a good while. Well when the new Switch system comes out in 2020 at least we know there will be competent companies that can port games over to it. "We'd like to thank Lukas and Tang for their time." But anyway, nice insight in this project, even I have not the slightest interest in this game (was never a fan of Elders Scroll). This is how you do a remastered on Switch. Good effort and price. Not trying to milk the FromSoftware or Nintendo fan base. Well said @BanjoPickles There is a point where you need to have real expectations and real understanding of what the Switch truly is. It's basically the best parts of the Nvidia Shield Tablet and Microconsole whittled into a Nintendo framed hybrid system. Yes the Nvidia specs base are higher, but not so much when you account for the android and especially the forced Nvidia tools and apps bloat forced to load as it really hits the system. Yet despite how good the hardware is, it's not quite a PS4 and definitely not a PS3 in power either, and most extremely so not a PS4 pro either. It is its own beast, and all those are consoles, this isn't. The fact that we already have two known factors out there with Virtuos and Panic Button who can seemingly make things happen beyond what people figured the hardware was capable of is nothing short of amazing. Even more so is the fact these people can still find more to squeeze out of their work to up the ante if you take LA Noire to Dark Souls and Doom to Wolf2 or Doom Eternal as they up the bar again within the same constraints. I look forward to seeing which other developers decide to grow a pair and do amazing things, and what these two companies can do in the future too. It has been since the first half of the Gamecube era since Nintendo got well managed third party games, SNES before for a life of consistency and it's nice to see a return to that. Has the A & B button issue been fixed yet? I have bought Virtuos port of Sid Meier's Pirates! on Wii and of course L.A. Noire on Switch. 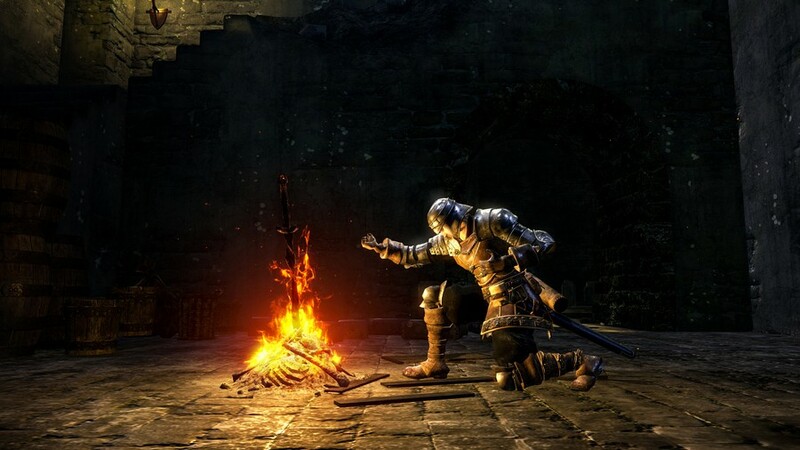 Dark Souls Remastered will be my 3rd game once I gain the news that the audio's been fixed. Nothing is going to ruin having one or my favourite games ever on a handheld, but I am surprised from software allowed their masterpiece and game that put them on the map to be released in the state it's in. The sound issues, hit box problems and ai that results in some enemies running away or into walls endlessly is a shame. I really hope they fix these issues as a matter of pride. @Old-Red I agree. I'm enjoying my time with this game on the Switch (playing DS in handheld mode is wonderful), but this is probably the worst version of the game. So Virtuos did LA Noire, Starlink and Dark Souls. Panic Button did Doom, Wolfenstein 2, Rocket League and Warframe. Iron Galaxy did Skyrim and Diablo 3. Has any major western 3rd party actually ported their own game or are they just always going to outsource it to a porting studio and not really care about the switch themselves. I agree that at the moment it's probably the worst version, but it has the potential to be the best. If they fix a few issues and keep the original graphics and frame rate it could be the definitive version. Game plays well, but I wouldn't call them masters with that compression... More like good everywhere else, toddler-level audio. Here's a future project for you guys: just patch the menu controls issue! I'd really like to start playing now. Great interview, so glad studios like this exist to handle ports. I'm excited for their future projects. It's a great port. Feels more faithful in the best way to the original vs the other system remasters. Here's to hoping they just send out a patch to fix some of the small audio and menu crashes. ... And you didn't ask them about the A&B buttons. How could you. The sounds issues are nothing to do with compression. It's been confirmed that dark souls uses 8GB cart. @NEStalgia That and why was it delayed for so long when many thought it looked ready to go back in May. I’m glad this game is out for everyone who wanted it but I have a hard time when they said it was easier than they expected but the initial release in May turned into an October release. With Panic Button currently working on Warframe, Doom Eternal and likely the next Wolfenstein on Switch, I’d like to see Virtuos working on something like the other Dark Souls, GTA, Bioshock or Boarderlands for Switch. Then if we could get Iron Galaxy on a mainline Fallout game for Switch, that would be prefect. @Spoony_Tech don’t forget Iron Galaxy who did Skyrim and Diablo III. @getyourak interesting. 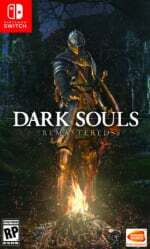 In what ways do you think it's more faithful than the other remaster ports? @NEStalgia The updated fog wall and other fx elements like quelag's flames look more faithful to the original. Personally, and this is subjective, but I feel them trying to update those fx only made them look worse in the PC, PS4, and XBone versions. @Toph6661 I KNOW!!! LOL I found out shortly after and was so hyped. I've been playing it already. It's really awesome. Looks good compared to PC. Doesn't seem to be 60 fps, but it's not sub 30 fps so it plays nicely. So much fun. @HugoStiglitz_420 To be honest I haven't compared them but the audio sounds terrible and I did play the original one, besides a lot of people are complaining about it so I do think it's an issue but Bandai has been real quiet about the issue.